After rebounding twice from the level of 38.2%, Euro started moving downwards again. I’ve already opened three sell orders. Most likely, the price will continue moving towards the target area, where there are several fibo-levels at the same time. 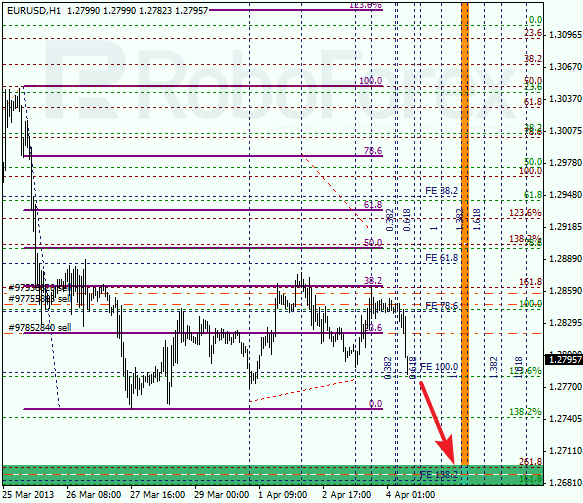 At the H1 chart we can see that the bears broke a local minimum. Analysis of temporary fibo-zones indicates that the pair may reach the target levels by the end of the week. Later, this area may become a starting point of a correction. Yesterday the market “touched” all the stops and right now is starting growing up again; that’s why I had to open new long positions. 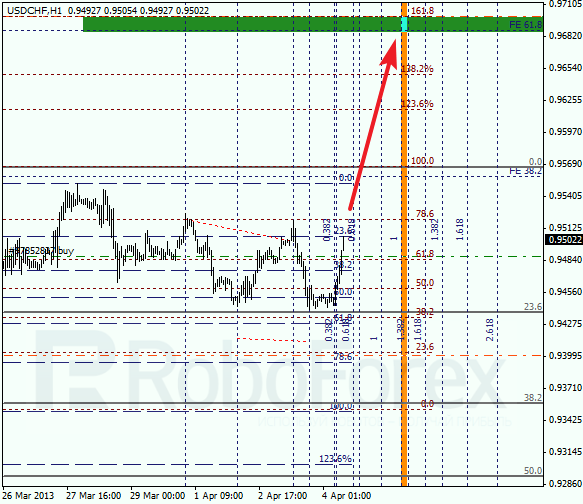 The target are for the bulls is still the one between the levels of 61.8% (extension) and 161.8% (correction). 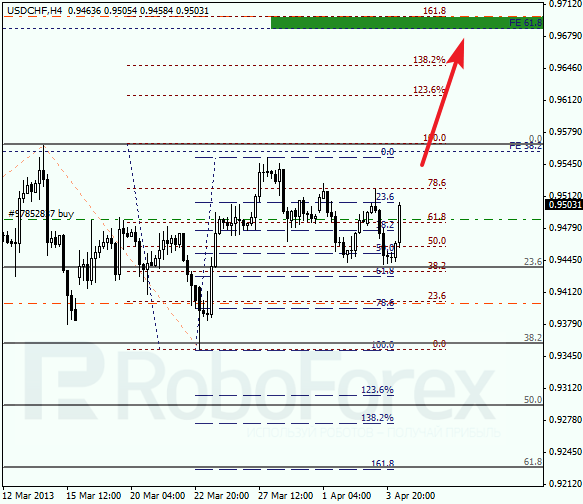 At the H1 chart we can see that the pair rebounded from the level of 23.6%. We can’t exclude a possibility that the price may reach a new local maximum during the day. According to the analysis of temporary fibo-zones, the pair is expected to reach the target area by the end of this week.